Gathering My Roses: #Purex Crystals Dryer Sheets: WINNERS! 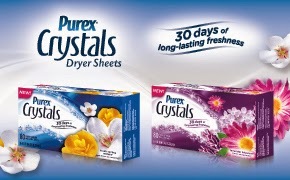 #Purex Crystals Dryer Sheets: WINNERS! We have our winners for the #Purex Crystals Dryer Sheets! Sandra V. is a winner! Kim R. is a winner! Thank you to everyone that participated! We've got more great reviews and giveaways coming soon!